“How I Spent My Summer Vacation” ~ at Essence Fest 2018! With all due respect to Jada, Tiffany, Regina, and the Queen, a “Girls’ Trip” this wasn’t! Not as crazy, foul or funky, but what a trip it was. 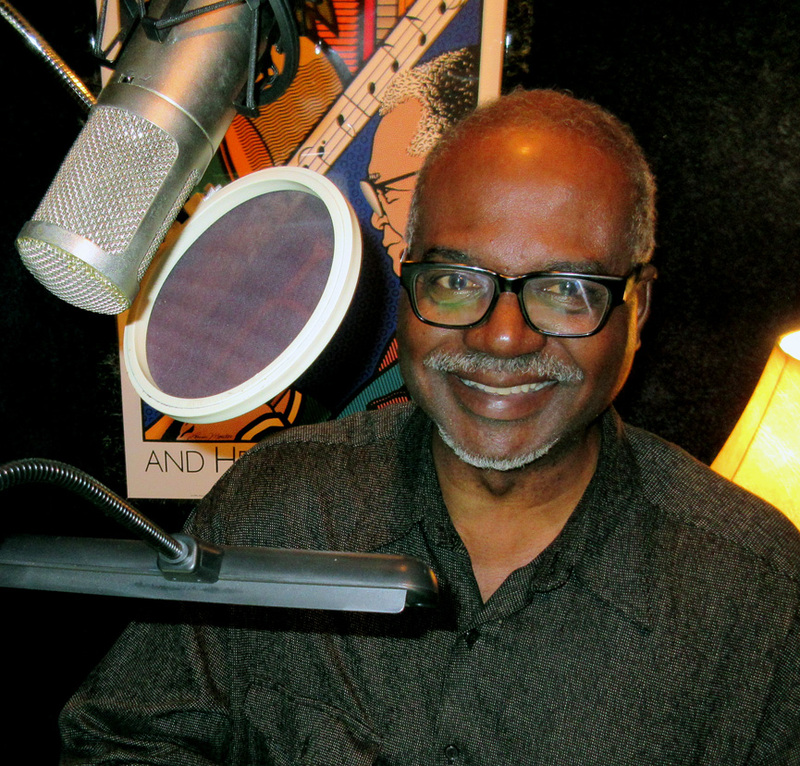 When the early June call came into my Airlift Productions Studios from a “Sam” at NYC’s Team Epiphany, I wasn’t quite sure what to make of the proposed job. Samantha Whidby, project manager, had found my website via a Google search, and was looking for some help at Essence Festival 2018. 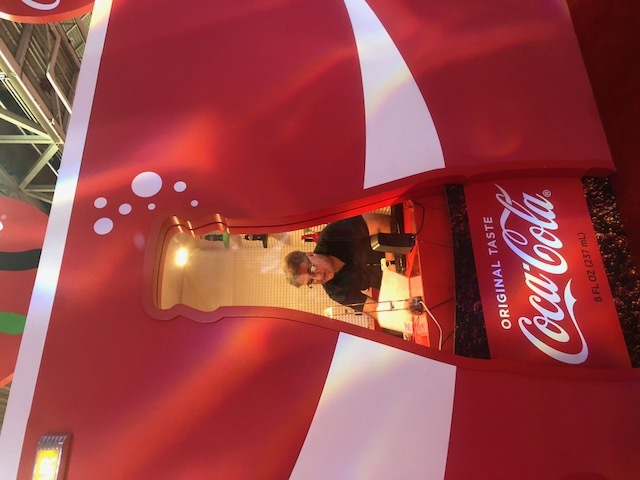 Team Epiphany, as it turns out, handles some pretty hefty clients, like HBO, Nike… and Coca-Cola; and they had their sights set on making some “noise” for Coke within the Convention Center for this annual epic summer extravaganza. 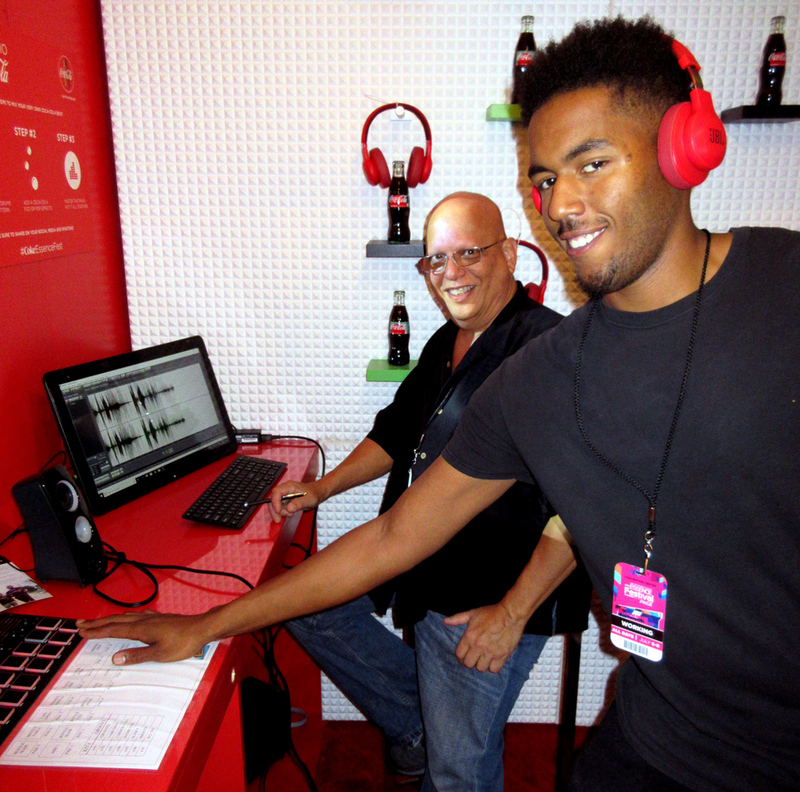 Put together a team of audio engineers to man two recording studio booths at Essence Fest to engage and embrace the consumer by helping her to record unique beats on drum pads using Coca-Cola sound effects! 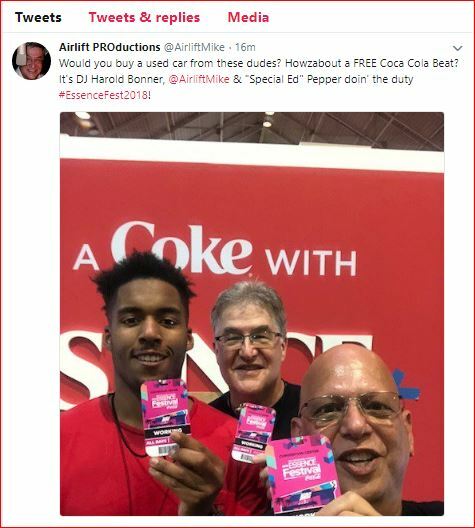 The beats would be then recorded to computer, saved as mp3s, and then sent to the consumer’s email address, allowing her to then save it to her phone, and even use it as her unique Coke-Essence-Fest ring tone. Like I said, I wasn’t quite sure what to make of the gig. But make it, we did. And how! Let the “Boys’ Trip” begin…. 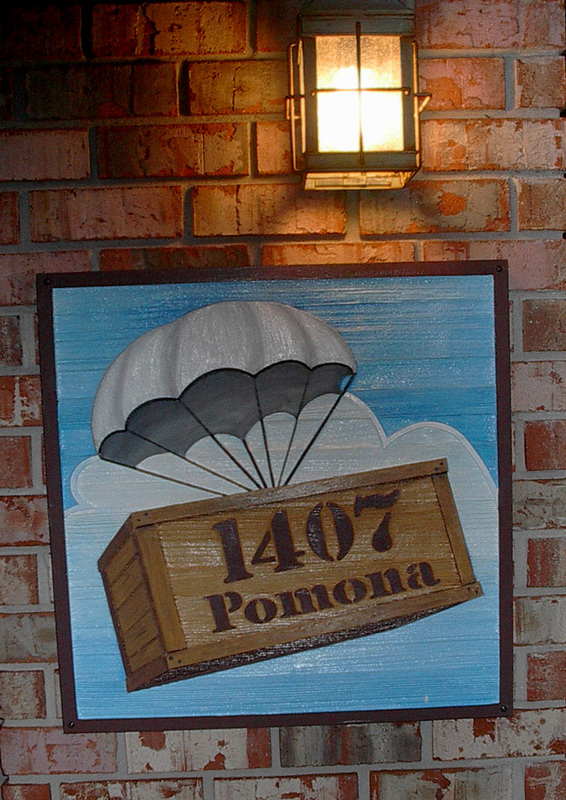 Kind of like Tom Sawyer’s summertime tale of talking his comrades into helping him paint the fence, within a few phone calls I’d lined-up my summer vacation posse. Accomplished full-time civil engineer (and audio savant/all-around tech-head) Ed Pepper, along with college student (and aspiring DJ) Harold Bonner agreed to saddle-up for the ride. So, how did it all come out? 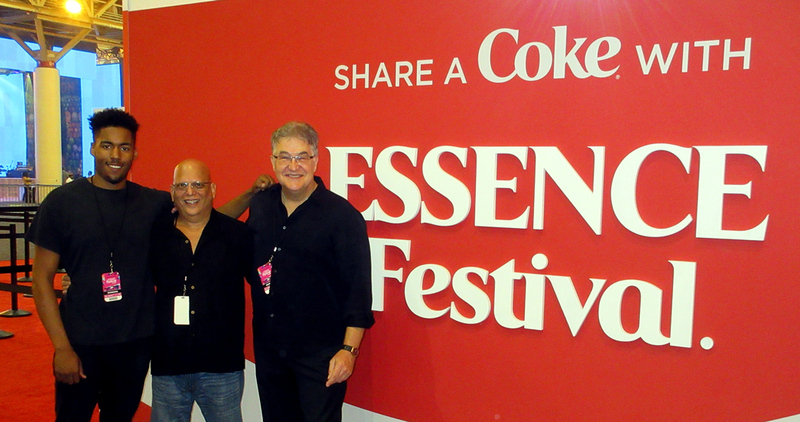 Well, across the entire Essence Festival weekend – July 6th, 7th & 8th – we recorded over 300 unique beats! And gave the consumer more than a “Coke and a smile”. Gee, we sure have come a long way from the days of Mad Men, Don Draper, and those “I’d like to buy the world a Coke…and live in perfect harmony” jingles of the 20th century, huh? But throughout history and on into the future, “youth will be served” – Coca-Cola, that is. Airlift Productions ~ Audio Alchemy & Digital Magic from New Orleans since 1984.